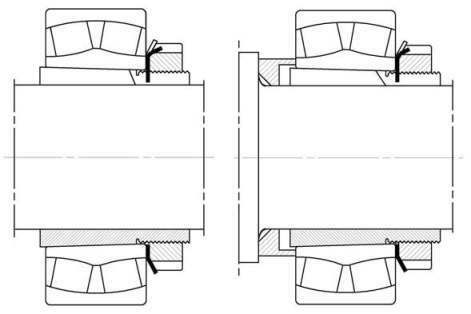 OH .. H and shown in the product tables, ADP produces sleeves to three other designs which differ in the number and arrangement of the oil ducts and distributor grooves. Adapter sleeves are using for locating bearings with a tapered bore onto a cylindrical seating as they can be used on smooth or stepped shafts. They are easy to mount and require no additional location on the shaft. When adapter sleeves are used on smooth shafts, the bearing can be located at any position on the shaft. 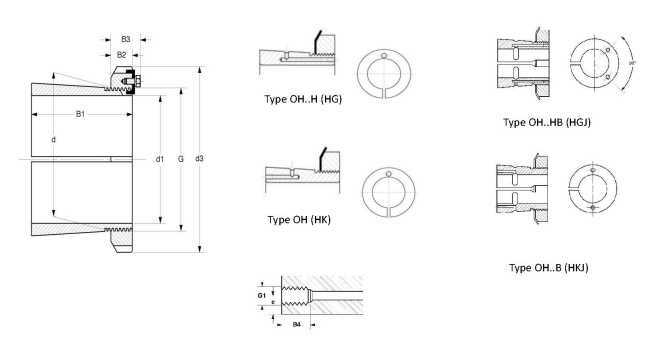 When used on stepped shafts, together with an abutment ring, bearings can be accurately positioned axially and bearing dismounting is also facilitated. ADP adapter sleeves are supplied complete with lock nut and locking device. Smaller sizes use a lock nut with a locking washer, larger sizes use a nut with locking clip. The sleeves are slotted and have an external taper of 1:12. ADP supplies–metric adapter sleeves, series designations H and OH–metric adapter sleeves for shafts with inch dimensions, series designations HA, HE and HS –adapter sleeves with inch dimensions, series designations SNW and SNPDesigns for hydraulic mountingMetric adapter sleeves To enable the hydraulic mounting to ease mounting and dismounting, metric ADP adapter sleeves having a bore diameter of 140 mm up to 500 mm can be supplied to special order already prepared for hydraulic mountings. 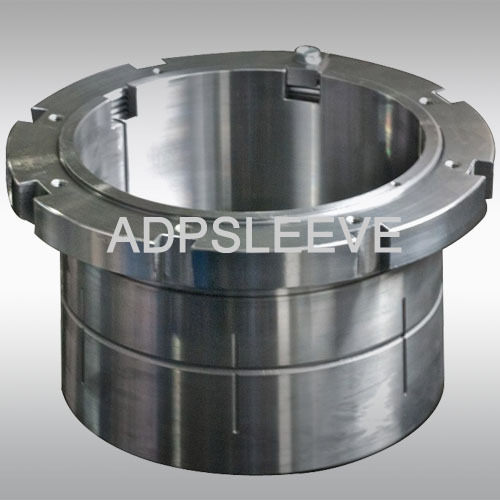 In addition to these standard sleeves which are designated OH .. H and shown in the product tables, ADP produces sleeves to three other designs which differ in the number and arrangement of the oil ducts and distributor grooves. Metric ADP adapter sleeves up to size 40 have metric threads with 6g tolerances, according to ISO 965-3:1998. 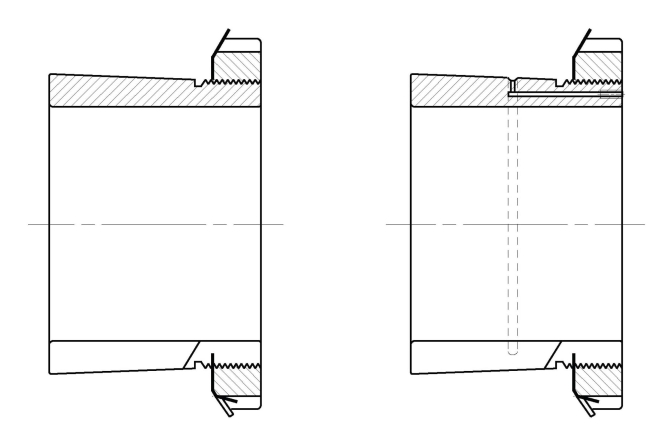 Larger adapter sleeves have metric trapezoidal threads with 7e tolerances, according to ISO 2903:1993.ADP adapter sleeves with inch dimensions up to and including size 64 (12 inch shaft diameter) have UnifiedSpecial Form threads (based on the old American National form, class 3 design). Larger sleeves have Acme Class 3G, General Purpose threads.